You can expect a few fake tan reviews coming up – I’ve just come back from my holidays I tested a few out. I’ll admit when Clarins sent me this one I was a little cautious. This is a serum which should be added to your regular body moisturiser. 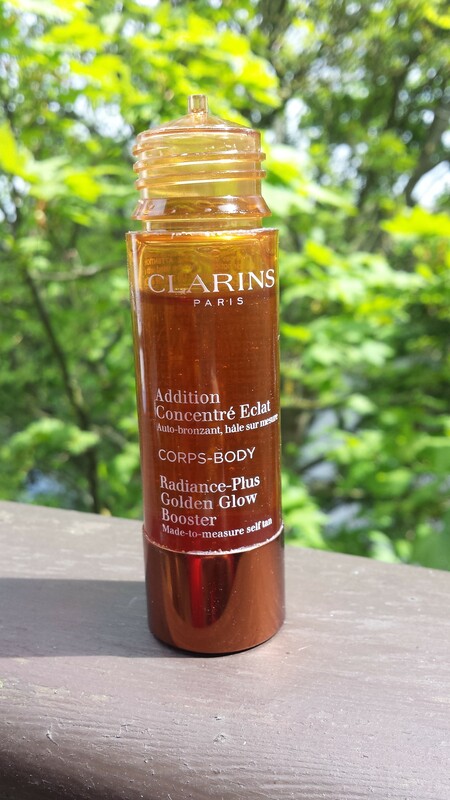 Just add a few drops – 4-6 depending on how deep you want your tan to be – mix them together and apply. I had terrible visions of having all sorts of streaks – there’s no guide colour with this product – or having one arm a different colour than the other because of different amounts of serum mixed in. However, I loved this stuff! 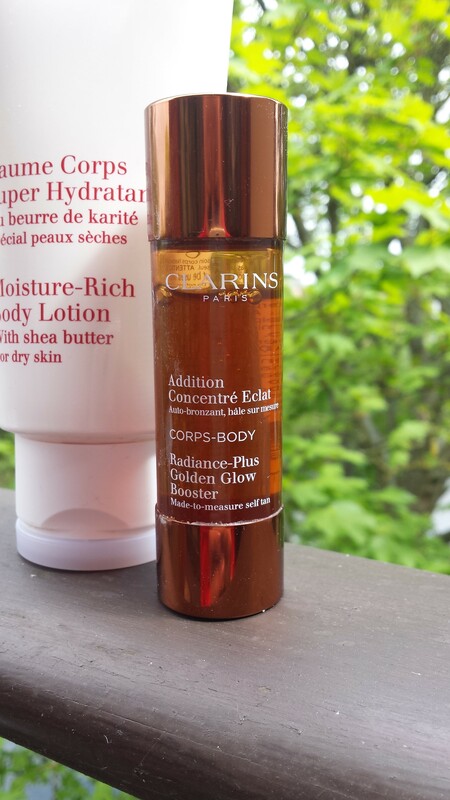 Teamed with the gorgeous Clarins Moisture-Rich Body Lotion it went on smoothly with no streaks and felt delicious on my skin. No yucky fake tan smell either. 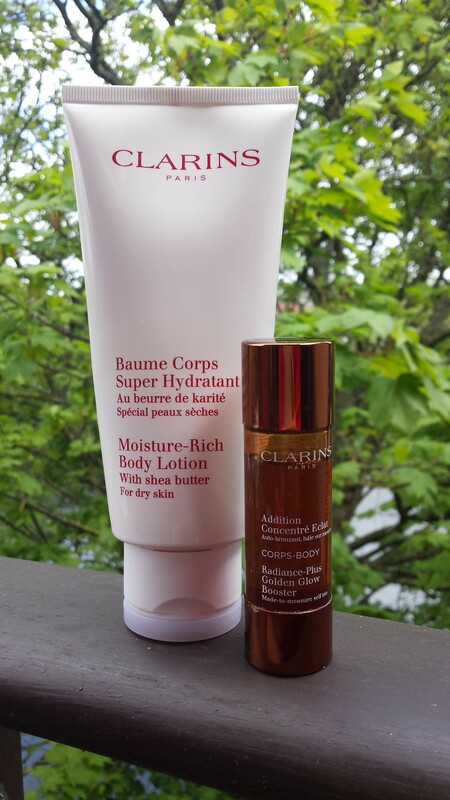 Also at £26 this is great value for money, particularly from a brand such as Clarins. I used it three times on holiday and you can see how little is gone from the container. You can tailor the amount you use so your tan can be as deep or light as you like. I’m really impressed with this one and would recommend it to anyone.